As most of you know, I love my Cricut. I think having an electronic die cutting machine in your craft room is such a versatile tool. Over the years I have made a lot of projects using my Cricut machines. You can use it to make shirts with iron-on, stickers, create a stencil with vinyl, for card making and scrapbooking, and so much more. Last year I did a series on how to use the Cricut Explore Air 2 machine, but I thought it would be helpful to go over Cricut Design Space™ basics. I get so many questions on how to use the different features of Design Space. Each week I will share a different feature of Design Space and a video tutorial to go with it. Bookmark or pin this page so you can check back often for how to use each of these features. I will update the above links as each post is added to the blog and YouTube. Be sure to subscribe to my YouTube channel to get updates as new videos are posted. 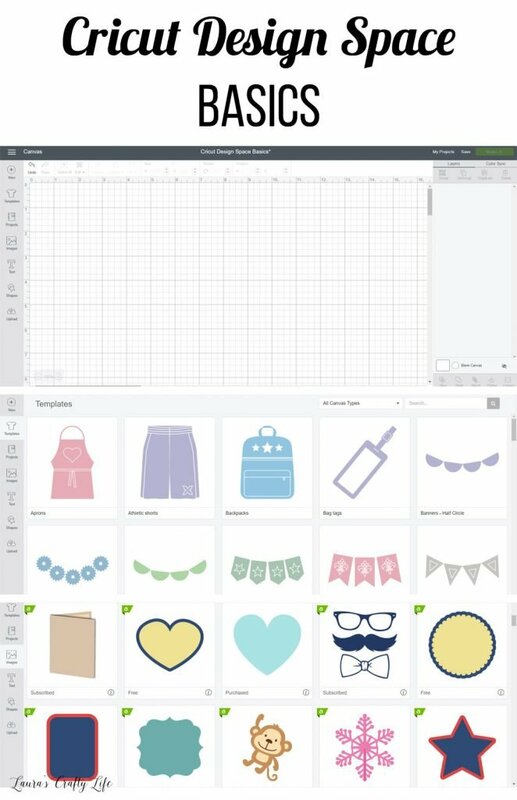 What questions do you have about Cricut Design Space? How Does the Cricut Machine Work? What Tools and Accessories do I Need to Use a Cricut? Hello Laura!! Searching for fonts I have found this page, now I’m subscribed at your channel in YouTube but I want to know what it the name of the font you use in your example, that one that says: Cricut Design Space. Thanks and regards! Thanks so much for subscribing! The font for Cricut Design Space is Lobster and you can find it here to download: https://www.fontsquirrel.com/fonts/lobster. Have a great week!